Experience the only horse racing game officially licensed by the NTRA, with Breeders' Cup World Thoroughbred Championships. With thousands of horses, the ability race your own Thoroughbred, play the ponies, and even build your own stable, Breeders' Cup was intentionally built to have something for racing fans regardless of their level. 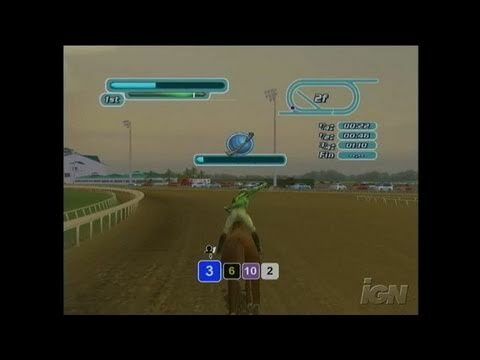 Other features include top racetracks from throughout North America (Del Mar, Belmont Park, Keeneland), a dynamic weather system with varying climate types, TV-style coverage and commentary by announcer Tom Durkin, and a sophisticated wagering system that uses all possible factors to create the most realistic odds. North Amercian Release Date: September 27, 2005.